Nationalist movements were active in surrounding countries of Iraq, Jordan and Syria and were influenced the Arabs of Palestine. In their midst, another nationalist movement, Zionism, was thriving. Anti-colonial fervor was directed against the British. The British often responded with a brutality that fanned the radical flames. 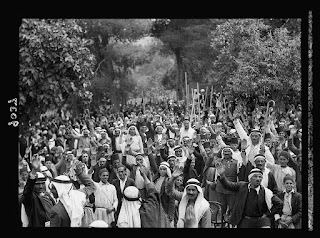 The immigration of Jews in the 1930s and their purchase of land in Palestine alarmed the Arab nationalists. They feared a demographic shift and sought to reverse the Balfour Declaration's goal of a Jewish national home in Palestine. 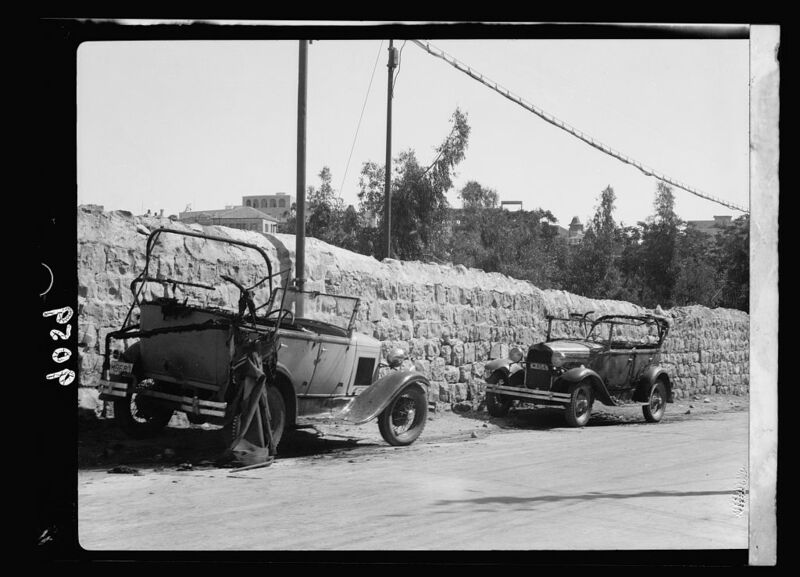 The Jewish manufacturing, farming, and social enterprises were seen as threatening to traditional Arab societies. The Mufti, Haj Amin el Husseini, sought to ride a wave of fanatacism and anti-Semitism that would also sweep away his moderate Arab foes. Many Arabs were caught up in the Fascist movements developing in Europe and the Middle East. Historians point to April 1936 as the start of the Arab campaign. 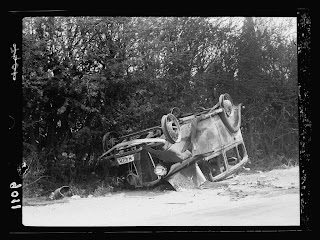 Jewish communities and vehicles were frequent targets. The American Colony photographers documented many of the attacks against the British and Jews.